528.00 sqft. - 952.00 sqft. Located in Sector 19 Dharuhera, Maruti Enclave is designed and constructed by the trusted MGH builders. This location of this place is the reason why these homes are in great demand. The project offers 2 BHK and 3 BHK apartments with the floor space ranging from 528 square foot to 952 square foot. The apartments come with two bathrooms and are well-planned ensuring that you and your family lead a comfortable life. The location of the project is such that you will stay away from the hustle and bustle of city life and yet enjoy great connectivity to schools, hospitals, and departmental stores. Carpet Area : 528.00 sqft. 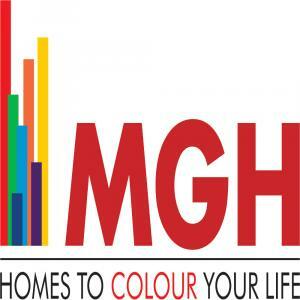 MG Housing Pvt Ltd. has established itself as a reputed name in the Real Estate Industry. Since its inception, this construction company has been relentlessly striving to achieve comprehensive development across residential and commercial sectors of Real Estate. MG Housing Pvt Ltd. also focuses on promoting residential townships spread across several areas of the city. Comprising of a highly efficient and dynamic team, this company has crafted a niche for itself in the construction business by conforming with superior quality standards and innovative designs while developing and delivering projects. The quality control team of MG Housing Pvt Ltd. makes sure that each project created by them speaks of architectural excellence.